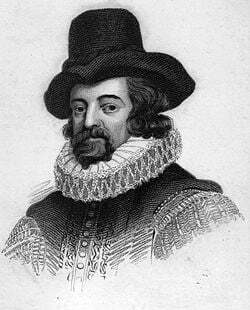 Francis Bacon, 1st Viscount St. Alban, King's Council (January 22, 1561 – April 9, 1626) was an English philosopher, statesman and essayist who is best known for leading the scientific revolution. His theory of 'observation and experimentation' has defined the way science has been conducted ever since. Bacon's life coincided with the English Renaissance, making him for many the quintessential English Renaissance Man with cultural, literary, scientific and political achievements of note. His eventful political life included high government office, but towards the end of his life he fell into debt and endured accusations of misconduct. Bacon began his professional life as a lawyer, but he has become best known as a philosophical advocate and defender of the scientific revolution. His works established and popularized an inductive methodology for scientific inquiry, often called the Baconian method. Induction (or inductive reasoning) implies drawing knowledge from the natural world through experimentation, observation, and testing of hypotheses. In the context of his time, such methods were connected with the occult trends of hermeticism and alchemy. Some credit Bacon as having caused the secularization of Western life, or the sidelining of theology by raising reason to the level of absolute authority in the place of revelation, which takes priority in religious understanding. Bacon was born at York House in the Strand, London. He was the youngest of five sons of Sir Nicholas Bacon, Lord Keeper of the Great Seal under Elizabeth I. His mother, Ann Cooke Bacon, was the second wife of Sir Nicholas, a member of the Reformed or Puritan Church, and a daughter of Sir Anthony Cooke, whose sister married William Cecil, 1st Baron Burghley, the great minister of Queen Elizabeth I.
Biographers believe that Bacon received an education at home in his early years, and that his health during that time, as later, was delicate. He entered Trinity College, Cambridge, in 1573 at the age of 12, living for three years there with his older brother Anthony. On June 27, 1576, he and Anthony were entered de societate magistrorum at Gray's Inn (Inn of Court), and a few months later they went abroad with Sir Amias Paulet, the English ambassador at Paris. The disturbed state of government and society in France under Henry III of France afforded him valuable political instruction. In the fragment De Interpretatione Naturae Prooemium (written probably about 1603) Bacon analyses his own mental character and establishes his goals, which were threefold: discovery of truth, service to his country, and service to the church. Knowing that a prestigious post would aid him toward these ends, in 1580 he applied, through his uncle, William Cecil, 1st Baron Burghley, for a post at court that might enable him to devote himself to a life of learning. His application failed, and for the next two years he worked quietly at Gray's Inn giving himself seriously to the study of law, until admitted as an outer barrister in 1582. In 1584 he took his seat in the English Parliament as member for Melcombe in Dorset, and subsequently for Taunton (1586). He wrote on the condition of parties in the church, and he wrote down his thoughts on philosophical reform in the lost tract, Temporis Partus Maximus, but he failed to obtain a position of the kind he thought necessary for success. In the Parliament of 1586 he took a prominent part in urging the execution of Mary Queen of Scots. About this time he seems again to have approached his powerful uncle, the result of which may possibly be traced in his rapid progress at the bar, and in his receiving, in 1589, the reversion to the Clerkship of the Star Chamber, a valuable appointment, the enjoyment of which, however, he did not enter into until 1608. During this period Bacon became acquainted with Robert Devereux, 2nd Earl of Essex (1567-1601), Queen Elizabeth's favorite. By 1591 he was acting as the earl's confidential adviser. Bacon took his seat for Middlesex when in February 1593 Elizabeth called a Parliament to investigate a Catholic plot against her. His opposition to a bill that would levy triple subsidies in half the usual time (he objected to the time span) offended many people; he was accused of seeking popularity, and was for a time excluded from the court. When the Attorney-Generalship fell vacant in 1594 and Bacon became a candidate for the office, Lord Essex's influence could not secure him the position; he also failed to be appointed solicitor-general in 1595. To console him for these disappointments Essex presented him with a property at Twickenham, which he subsequently sold for £1800, equivalent to a much larger sum now. In 1596 he was made a Queen's Counsel, but missed the appointment of Master of the Rolls. During the next few years, his financial situation remained bad. His friends could find no public office for him, a scheme for retrieving his position by a marriage to the wealthy widow Lady Elizabeth Hatton failed, and in 1598 he was arrested for debt. His standing in the Queen's eyes, however, was beginning to improve. He gradually acquired the standing of one of the learned counsel, though he had no commission or warrant and received no salary. His relationship with the Queen also improved when he severed ties with Essex, a fortunate move considering that the latter would be executed for treason in 1601; and Bacon was one of those appointed to investigate the charges against him, and examine witnesses, in connection with which he showed an ungrateful and indecent eagerness in pressing the case against his former friend and benefactor. This act Bacon endeavoured to justify in A Declaration of the Practices and Treasons, etc., of … the Earl of Essex, etc. He received the gift of a fine of £1200 on one of Essex's accomplices. The accession of James I brought Bacon into greater favor; he was knighted in 1603, and endeavored to set himself right with the new powers by writing his Apologie (defense) of his proceedings in the case of Essex, who had favored the succession of James. In 1606 during the course of the uneventful first parliament session Bacon married Alice Barnham (1592-1650), the daughter of a well-connected London alderman and member of Parliament. Little to nothing is known of their married life. In his last will he disinherited her. However, substantial evidence suggests that Bacon's emotional interests lay elsewhere. John Aubrey in his Brief Lives states that Bacon was "a pederast." Bacon's fellow parliamentary member Sir Simonds D'Ewes, in his Autobiography and Correspondence, writes of Bacon: "…yet would he not relinquish the practice of his most horrible & secret sinne of sodomie, keeping still one Godrick, a verie effeminate faced youth, to bee his catamite and bedfellow." Bacon's mother Lady Ann Bacon expressed clear exasperation with what she believed was her son's behavior. In a letter to her other son Anthony, she complains of another of Francis's companions "that bloody Percy" whom, she writes, he kept "yea as a coach companion and a bed companion" ("coach companion" in Bacon's day carried louche (meaning not reputable) connotations, as the interior of a traveling coach was one of the few places affording privacy). Bacon exhibited a strong penchant for young Welsh serving-men. Another view is that criticism of his sexuality was manufactured by his enemies as part of their attempt at character assassination. Meanwhile (in 1608), he had entered upon the clerkship of the Star Chamber, and was in the enjoyment of a large income; but old debts and present extravagance kept him embarrassed, and he endeavored to obtain further promotion and wealth by supporting the king in his arbitrary policy. Bacon's services were rewarded in June 1607 with the office of solicitor-general. In 1610 the famous fourth parliament of James met. Despite Bacon's advice to him, James and the Commons found themselves frequently at odds over royal prerogatives and the king's embarrassing extravagance, and the House was dissolved in February 1611. Through this Bacon managed in frequent debate to uphold the prerogative, while retaining the confidence of the Commons. In 1613, Bacon was finally able to become attorney-general, by dint of advising the king to shuffle judicial appointments; and in this capacity he would prosecute Somerset in 1616. The Parliament of April 1614 objected to Bacon's presence in the seat for the University of Cambridge. He was allowed to stay, but a law was passed that forbade the attorney-general to sit in parliament. His obvious influence over the king inspired resentment or apprehension in many of his peers. 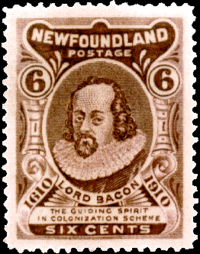 Bacon continued to receive the king's favor, and he was created Baron Verulam in 1618, and created Viscount St. Alban in 1621; both titles became extinct upon his death. In 1618 he was appointed by James to the position of Lord Chancellor. In his great office Bacon showed a failure of character in striking contrast with the majesty of his intellect. He was corrupt both politically and judicially, and now the hour of retribution arrived. His public career ended in disgrace in 1621 when, after having fallen into debt, a Parliamentary Committee on the administration of the law charged him with corruption under twenty-three counts; and so clear was the evidence that he made no attempt at defense. To the lords, who sent a committee to inquire whether the confession was really his, he replied, "My lords, it is my act, my hand, and my heart; I beseech your lordships to be merciful to a broken reed." He was sentenced to a fine of £40,000, remitted by the king, to be committed to the Tower during the king's pleasure (his imprisonment in fact lasted only a few days). More seriously, Lord St. Alban was declared incapable of holding future office or sitting in parliament. He narrowly escaped being deprived of his titles. Thenceforth the disgraced viscount devoted himself to study and writing. I was the justest judge, that was in England these last fifty years. When the book of all hearts is opened, I trust I shall not be found to have the troubled fountain of a corrupt heart. I know I have clean hands and a clean heart. I am as innocent of bribes as any born on St. Innocents Day. In March 1626, Lord St. Alban came to London. Continuing his scientific research, he was inspired by the possibility of using snow to preserve meat. He purchased a chicken (fowl) to carry out this experiment. While stuffing the chicken with snow, he contracted a fatal case of pneumonia. 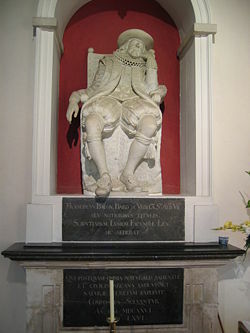 He died at Highgate on April 9, 1626, leaving assets of about £7,000 and debts to the amount of £22,000. Bacon's works include his Essays, as well as the Colours of Good and Evil and the Meditationes Sacrae, all published in 1597. His famous aphorism, "knowledge is power," is found in the Meditations. Bacon also wrote In felicem memoriam Elizabethae, a eulogy for the queen written in 1609; and various philosophical works which constitute the fragmentary and incomplete Instauratio magna, the most important part of which is the Novum Organum (published 1620). Bacon also wrote the Astrologia Sana and expressed his belief that stars had physical effects on the planet. Bacon’s philosophy exhibits the elements of anti-authoritarianism, empiricism, and utilitarianism. These three orientations formed his concept of knowledge, value perspective, and both the limit and possibility of his contribution. Bacon did not reflect the conventional pessimism of medieval Christian thinkers who regarded human beings and society as incapable of much improvement due to the corruption of the Human Fall. Instead he was optimistic about the possibilities of truth combined with human freedom and sovereignty. Enlarging human knowledge was a precondition for relieving the hardships of human existence and forming a flourishing new society. He saw science, a collective project for improving social structures, as the means to achieve this. The modern idea of technological “progress” (in the sense of a steady, cumulative, historical advance in applied scientific knowledge) began with Bacon and is an idea that has shaped the past four hundred years. Bacon argued that it is wise not to confuse the Book of Nature with the Book of God. The latter deals with the will of God which human beings can never know, and the former with God's work, the scientific explanation or appreciation is a way for a Christian to serve God as natural philosophy and technology were two forms of God's knowledge. According to the Aristotelian tradition, knowledge conceived as the object of contemplation was conceived as having intrinsic value, and therefore its value was derived by itself. This type of knowledge was valued by virtue of the fact that they were seen as being able to liberate (artes liberals; “liberal arts”) the human soul from the mundane world and give the soul an element of freedom. Knowledge serving economic gains (quaestuosas artes) and practical purposes was considered secondary because it was serving to satisfy material needs. Bacon rejected this notion of knowledge and interpreted it from a pragmatic and utilitarian perspective. From Bacon’s utilitarian perspective, knowledge, in the sense of truth, no longer had intrinsic value, but derived its value from the practical purposes it served. Thus, Bacon abandoned the notion of knowledge as a way to liberate the human spirit (artes liberals). Bacon asserted the primacy of utility in the sphere of knowledge, which is one of the important features of the idea of modernity. Bacon repudiated the syllogistic method of Aristotle and defines his alternative procedure as one, “which by slow and faithful toil gathers information from things and brings it into understanding.” By this he established the basic procedures of science. Theorizing was not enough for Bacon and his slogan was, "making is knowing and knowing is making" (cf. Bacon IV , 109–110). As a criticism of Aristotle and his work of logic the Organon, which was adopted by scholasticism, Bacon entitled his work on the empirical methodology as Novum Organum (“New Organon”). Bacon realized that facts have to be collected methodically so that comparisons can be made. It was not enough to search for confirming instances. Instead he saw that tables needed to be drawn up so that negative instances could be included and taken into consideration. He proposed doing refuting experiments which some have seen as anticipating Karl Popper's idea of falsification. This was a revolutionary and original achievement for which there are no prior instances in classical antiquity. Nevertheless, very few great scientists have ever completely used Bacon's methodology. It is too laborious. Instead they have tended to augment rigorous experiment with imagination and intuition which has enabled science to progress in leaps and bounds. So Bacon over estimated the value of minute observation and data collection and underestimated the use of hypothesis and guesswork. However, his promotion of experimentation was much needed to enable science to move forward. "Idols of the Tribe" (idola tribus), which are common to everyone due to the imperfection of human nature such as our easily deceivable senses, a tendency to wishful thinking and rushing to judgment. "Idols of the Cave" (idola specus), are the parochial and usually unexamined assumptions a person has acquired from their culture, gender, class, religion, upbringing and education. "Idols of the Marketplace" (idola fori), coming from the confusions inherent in language such as words for things that do not exist or words that are vague. In this Bacon seems to have anticipated Wittgenstein. "Idols of the Theater" (idola theatri), which result from the fictional worlds created by dogmatic philosophy that has not been subjected to testing by experimentation. He describes these as superstitions and offers as an example people who base their natural philosophy on the Book of Genesis, Chapter I.
Bacon distinctly separated religion and philosophy, denying that the two can coexist. Where philosophy is based on reason, he asserted that faith is based on revelation, and therefore irrational—in De augmentis he writes that "the more discordant, therefore, and incredible, the divine mystery is, the more honor is shown to God in believing it, and the nobler is the victory of faith." Bacon’s sharp distinction between the study of nature and that of the divine abandons the possibility of discovering the mysterious realm of the divine through the studies of nature. Thus, Bacon directly opposed the tradition of Thomism. Bacon's legacy has been quite controversial. During the English Restoration he was commonly invoked as a guiding spirit of the new-founded Royal Society. In France he had many admirers among thinkers of the Enlightenment who saw him as ushering in a new age. The eighteenth-century French encyclopedists Jean le Rond d'Alembert and Denis Diderot emblazoned his name on the front page of the Encyclopedie. Others though have found in his utilitarian view of science the seed of technological conquest and global imperialism. Bacon was ranked No. 90 on Michael H. Hart's list of the one hundred most influential figures in history. Since the nineteenth and twentieth centuries a number of writers extended Bacon's acknowledged body of work by claiming that Bacon was the author of the plays of William Shakespeare. Alleged evidence for this is imputed from Bacon's Shakespeare notebook, The Promus and The Northumberland Manuscript. Despite persistent discussion of this theory amongst historians and scholars, it has been by and large rejected. ↑ Wayne R. Dynes (ed. ), Encyclopedia of Homosexuality (New York, NY: Garland, 1990, ISBN 978-0824065447), 103. ↑ Benjamin Farrington, The Philosophy of Francis Bacon (Chicago, IL: University of Chicago Press, 1966, ISBN 978-0226238852). ↑ History of Doubts surrounding the authorship of Shakespeare’s Works Shakespeare Oxford Society. Retrieved December 5, 2012. ↑ William Shakespeare Identity / Authorship Problem Retrieved December 5, 2012. ↑ Summary of Baconian Evidence for Shakespeare Authorship Retrieved December 5, 2012. Some material originally from the 1912 Schaff-Herzog Encyclopedia of Religion. This page was last modified on 24 April 2017, at 22:38.